Here are a few tips that I use to slim down my grocery budget. *Disclaimer: My husband and I eat very ‘clean’ food and we typically shop at Trader Joes. Listen — $10 a week for four people isn’t going to happen. I’m a big believer in keeping things in perspective. There are many, many ways you can save around the home or increase your income to pay off debt; however, you shouldn’t sacrifice meals, or buy cheap crap that’s going to harm your body, just to put more on your snowball at the end of the month. If you’re not eating a healthy diet, you’re going to get sick. When you get sick you have to go to the doctor, take a day off of work, or worse, ride it out and feel like crap for a month while you buy over-the-counter meds to try to work through it. If you don’t put aside a realistic amount, you’re going to go over your budget, which will put everything else off kilter, and make you feel like you’re failing at this whole ‘getting out of debt’ thing. Either way, being unrealistic with your grocery budget will actually cost you money instead of save you money. My husband and I set a limit at $400. When I was in college, this was a much smaller number. When we first started paying debt, it was even smaller. Now that we are in a better position, we dedicate more money to better quality food. This number works for us and in our budget. BE REALISTIC about how much you’re going to spend at the grocery store per month. I used to lump all of these things together. We’d get Clorox, a bag of Purina, and some paper towels and I’d call it a day in the Every Dollar app. Last time I checked, you don’t drink bleach, eat dog food, or fill a tummy with paper towels. If you can’t eat it, and digest it, don’t put it in your grocery budget. Make separate budgets for household goods and pet expenses. Uh oh. I just hit a nerve with some people. Look, if you want to get Cheerios, Campbells soup, or pasta, buy it at a dollar store. These are staple items that are in stock and so much cheaper than your average Harris Teeter or Walmart. You can also stock up on those household items while you’re there too ;). Honestly, when we were first getting out of debt, this was a huge time and money saver. I meal planned every two weeks. We went to the store, bought just those meals and that’s what we ate. Period. Now that we’re in the clear a bit, we still have a general idea of what we are going to prepare throughout the week, but it’s definitely not as strict as it used to be. 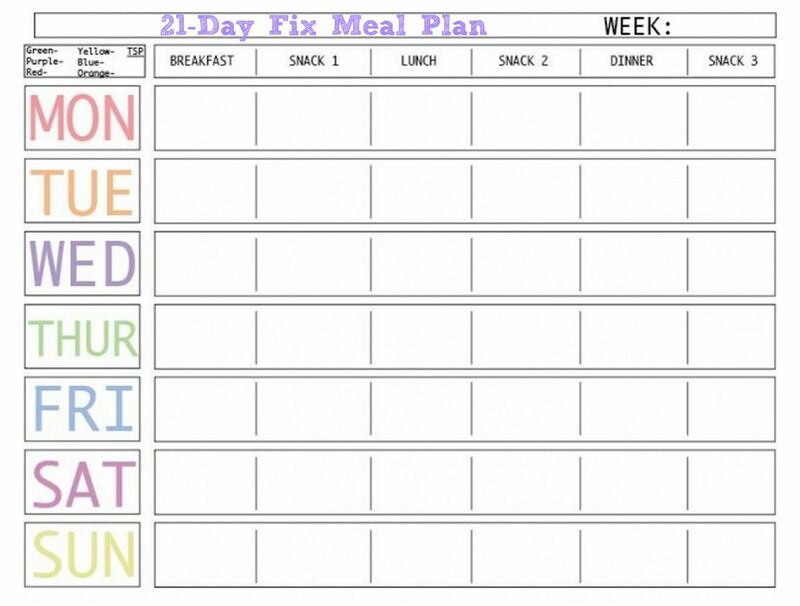 Meal planning is a fantastic way to stay the course, and free up time in the week since you don’t have to sulk over what’s for dinner that night. Here’s an awesome template to get you started. Definitely a great point to make it realistic! I usually buy a big case of chips for my kids school lunches. It’s 32 bags of chips and there’s the good stuff that goes quickly: Pretzels, Smartfood White Cheddar Popcorn, and the Doritos. Inevitably I have to buy another case of chips every 2 weeks for $10, and we are always left with about 10 bags of crunchy cheetos that no one wants to eat. Last week I divided the 32 bags of chips (+6 bags of leftover cheetos) evenly to last over 3 weeks. I stuffed the future portions in to grocery bags and hid them in the basement. This Sunday when I took inventory, there was only 1 bag of chips left in the box: Cheetos of course. I’m excited the cheetos are finally getting some love and I’m forcing my voracious eaters to slow down! Hahaha. The great Cheeto debacle. Glad you could use them up – I think that’s such a hard part of groceries — not being wasteful with what you have. I constantly have to double check that Im not literally throwing money away.